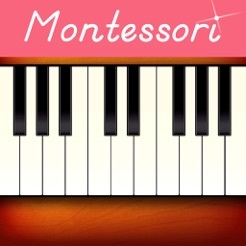 A Montessori approach to learning about different musical instruments! 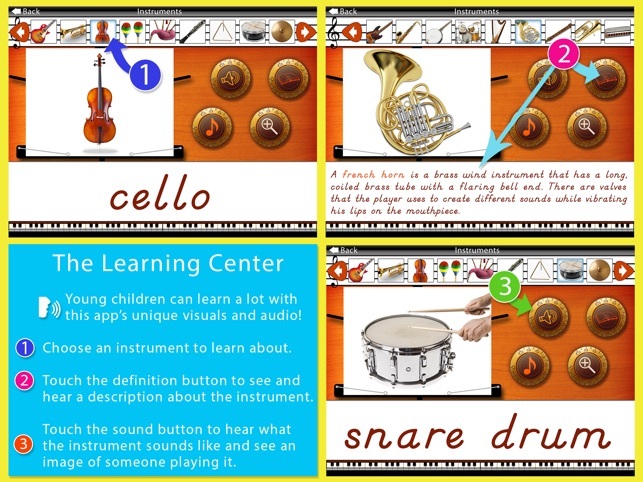 In the Learning Center, learn about 27 different musical instruments, including, acoustic guitar, violin and piano. 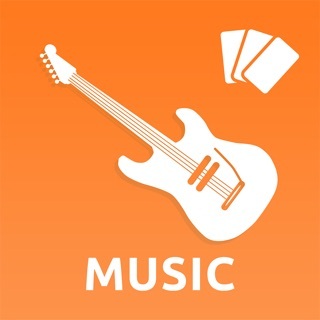 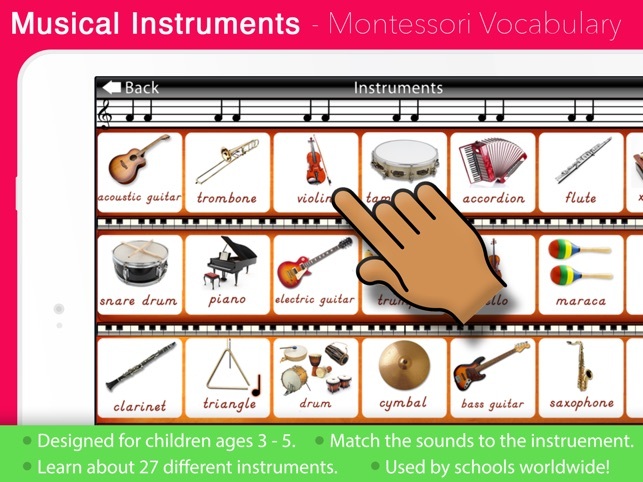 Learn their names, descriptions and listen to sound clips for each instrument. 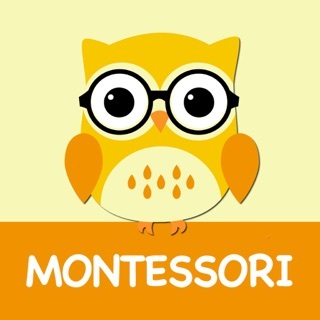 Activity #1 is the famous Three-Part Card Matching System used in Montessori Classrooms. 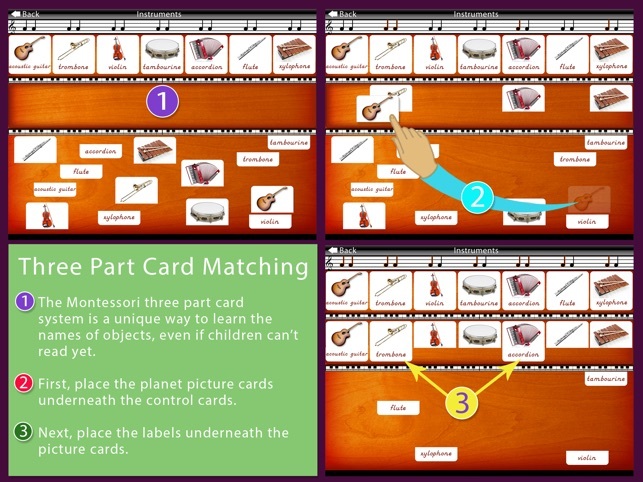 Children can drag the picture cards and labels to match them up to the control cards at the top. 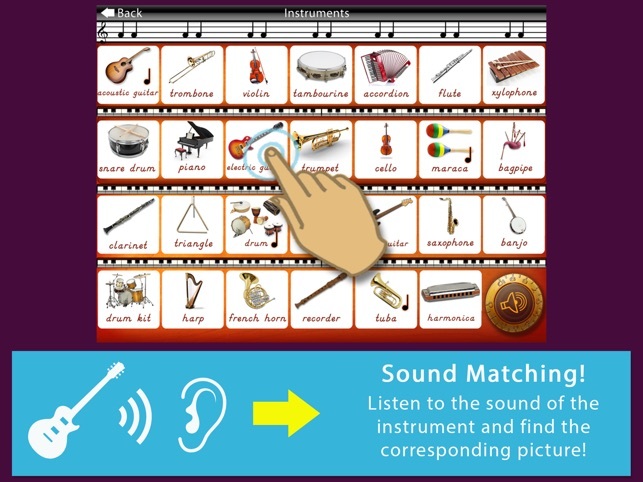 Activity #2 is a matching activity to identify the correct instrument to its sound. 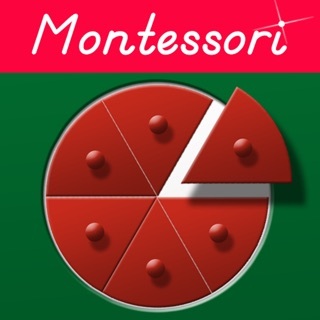 © Mobile Montessori ® by Rantek Inc.